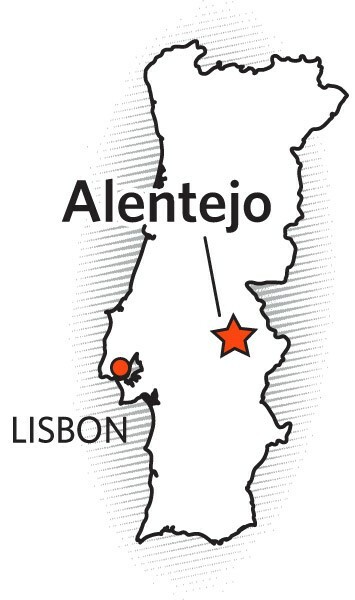 Alentejo, in the south of Portugal, is one of the more arid growing areas in Western Europe. 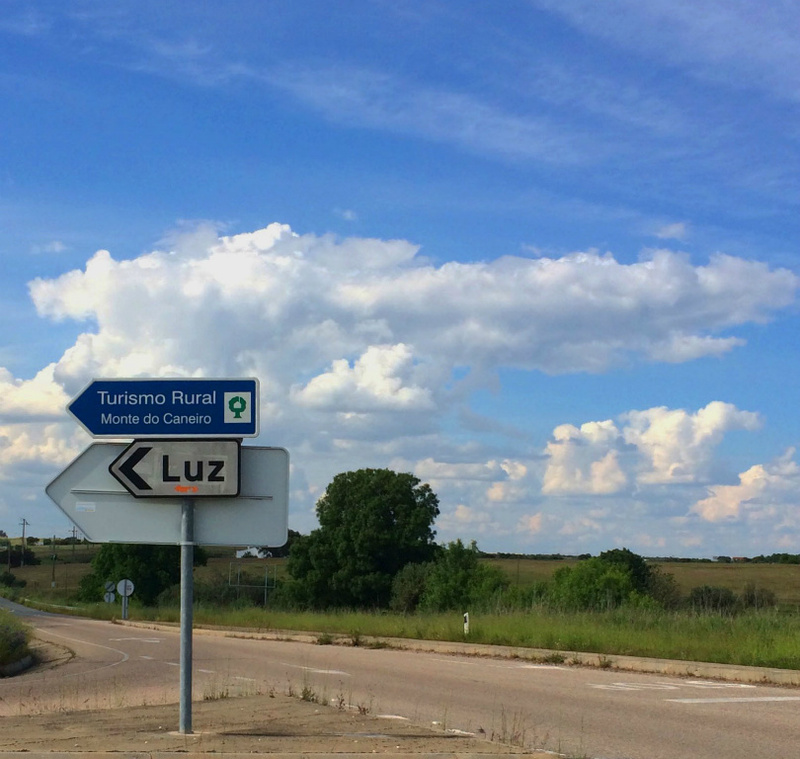 The Mourao sub-region has no highways or airports, and its people were determined to continue a rustic, agrarian existence until the the finalization of the Alqueva Dam in 2004. 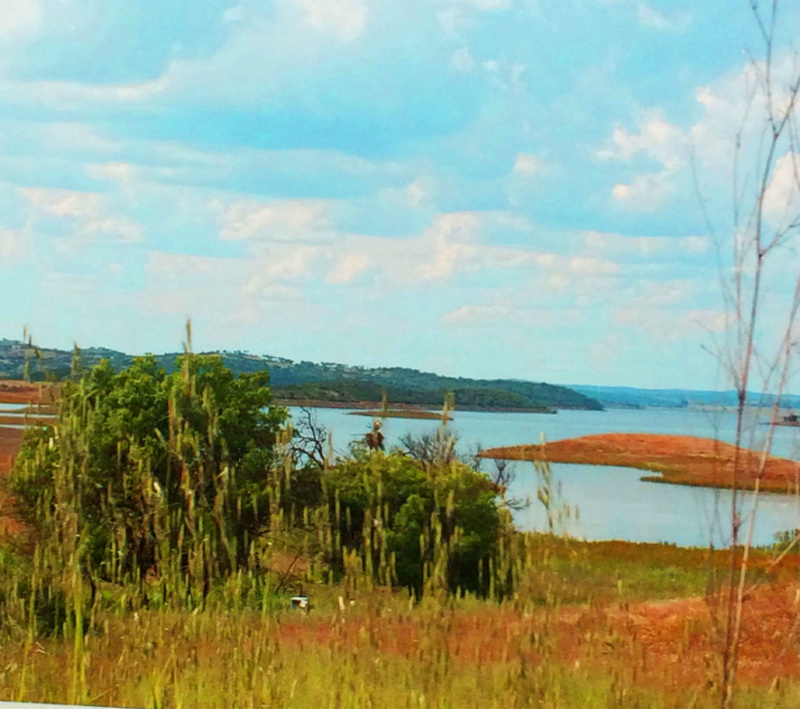 A huge and controversial project, the "Barragem de Alqueva" is today the biggest artificial lake in Europe, and is a reservoir and irrigation source for a large area of the Alentejo. When the reservoir was planned the government faced a difficult decision. The old village of Aldeia da Luz (Village of Light) was below the proposed water-line of the planned reservoir, but the benefits that the project would bring were such that the village could not be spared. Would they relocate people to the nearest town? Perhaps disperse the 300-odd residents around the local villages? After consultation with the villagers the authorities undertook what is considered to be a unique resettlement plan: they rebuilt Luz a couple of kilometres away on higher ground. This relocation included planting both a 200 hectare olive grove and a 83 hectare vineyard that today belong to and are farmed by the 74 permanent denizens of the village. 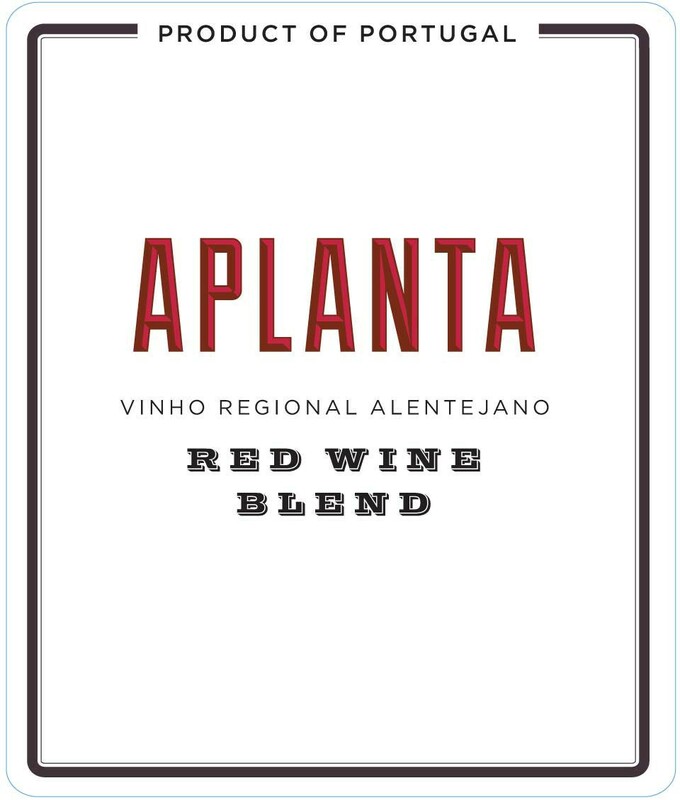 It is from here that the fruit for Aplanta comes, showcasing the lush, warm flavors and easy-going style of Alentejo reds. 70% Aragonez, 30% Alicante Bouschet. Vines planted in 2002. Tended in sandy and loam soil at 250 m (820 ft) elevation. Aplanta does well with grilled meat from burgers to steaks, as well as charcuterie and sharp cheeses. Quickly pressed after harvest, the grapes go on a pre-fermentative “cold soak” on a temperature controlled for 3 days (at 45F) in order to conserve the fruit’s fresh flavor and aroma. Then racked in french oak barrels for fermentation and aging. 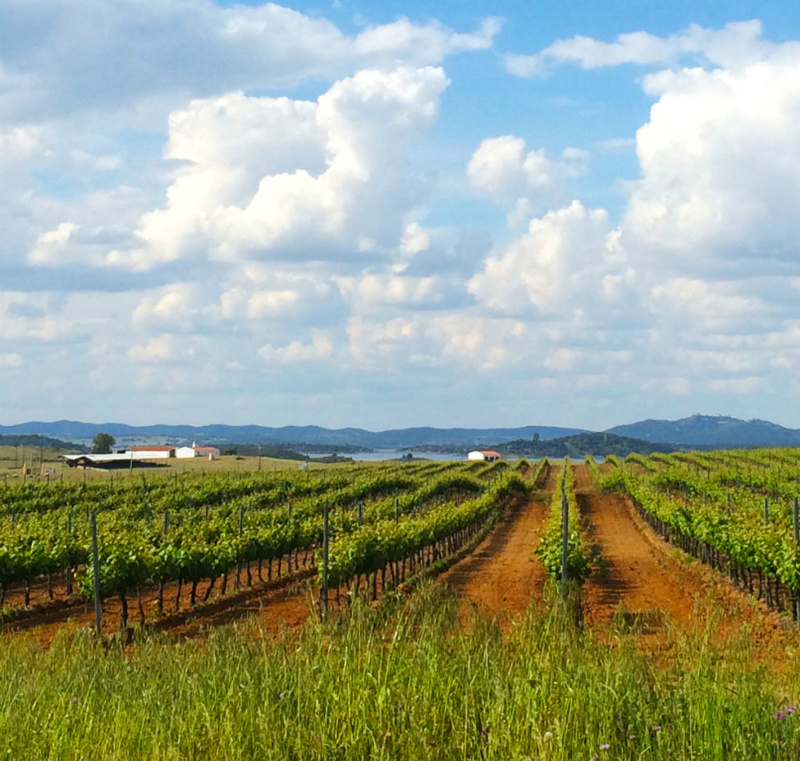 These vineyards are located in Alentejo, in southern Portugal. The soils are composed of Schist and sandy loam, at 250 m (820 ft) above sea level. Average temp during the growing season is 30 C. Average rainfall from April to October is 480mm. 70% Aragonez, 30% Alicante Bouschet. Dark garnet tinged purple. On the nose, lush blueberry, plum and red cherry aromas, overlaid with slate mineral. On the palate, a core of red cherry and blueberry fruit is wrapped with hints of fresh tobacco, black pepper and spice. Plush and refreshing all at once.